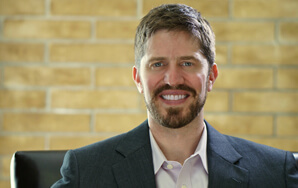 Portland Dentist, Jon M. Daby D.D.S. graduated from the University of Minnesota School of Dentistry in 2003. He received further advanced training by completing a one-year residency in Syracuse, NY at the Upstate Medical University Hospital. Dr. Daby has continued to receive advanced post-doc training in implants, root canal treatment, sedation, and cosmetic dentistry, among other specialties through many hours of continuing education. Dr. Daby enjoys spending time with his son. His hobbies include skiing, mountaineering, biking, and camping. As a native of North Dakota, he enjoys year-round gardening and outdoor activities in the beautiful Northwest. Dr. Daby comes from a family of dentists committed to providing all aspects of dentistry. His father maintains a general dentistry practice in North Dakota, where his grandfather practiced before him. His brother is nearly finished with dental school at the University of Minnesota. Dr. Daby has continued to invest in his education through many of hours of continuing education to provide a wide range of dental services. Many of these procedures are routinely referred out to specialists by other dentists. At Smiles on Sandy, a patient is seldom referred away, and is able to complete multiple procedures under one roof, instead of making appointments to various specialists.